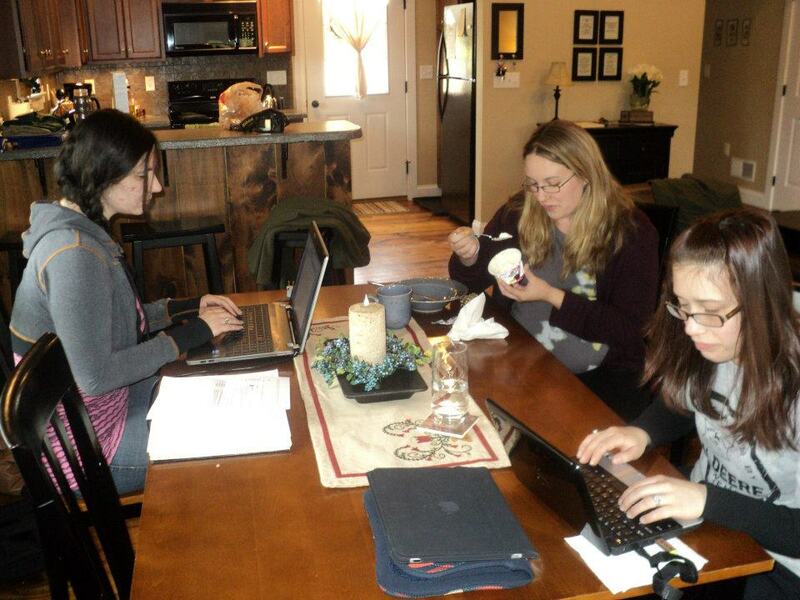 Writing retreat recap: 38,000 words, 8 farm animals, 1 hot tub. Guys, we had an amazing weekend retreat in rural Pennsylvania! It boiled down to three things: writing, eating, and hottubbing. Plus some city-girl excitement over farm animals. In order to ensure productivity, we set up hour-long "word war" sessions — no talking, no internet, no stopping, just writing. We did this four times on Saturday and once on Sunday before leaving. By the last session, we had each broken—even smashed—our previous record for an hour-long word count. The important thing was, we set our own goals, since we all write at different speeds. For example, at my most productive, I wrote nearly 1,500 words in an hour. Frankie wrote over 3,000 in the same hour. Sara and Janine are somewhere in between. We all left with much higher standards for ourselves with what we can accomplish in an hour of writing! Also, we realized that yummy snacks in between word war sessions are the best reward for a job well done. 1. 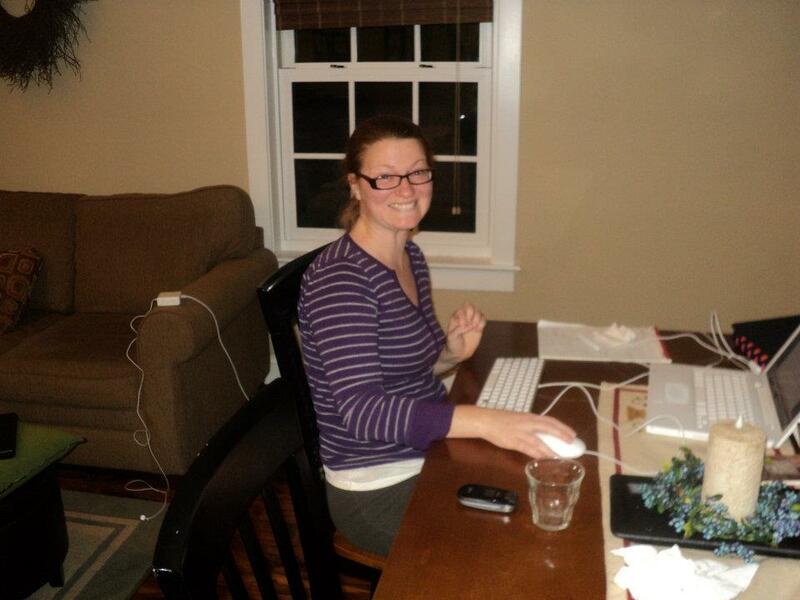 Janine finished her novel! 2. Frankie wrote 15,000 words! That's the smile of victory. Coming over to check out the visitors! The barn cats came over, too! This goat was my favorite!!! Oh, to be a lazy cat. 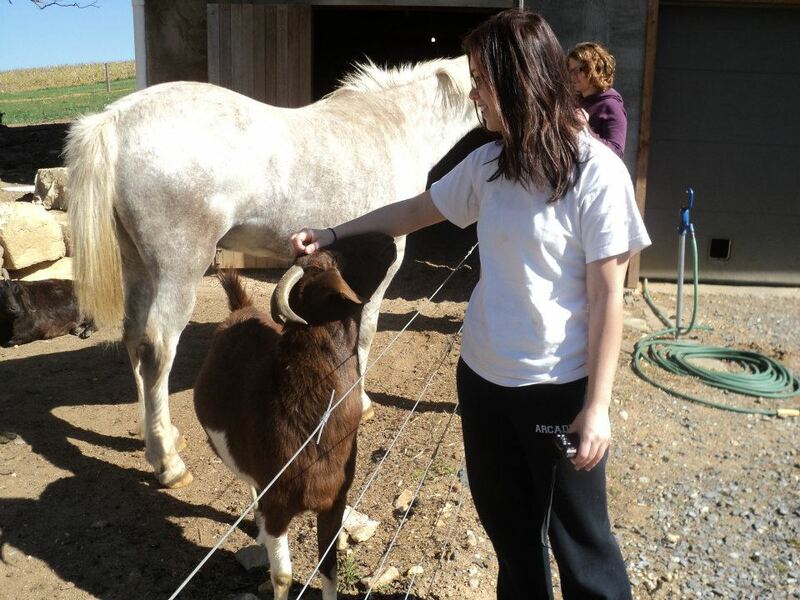 Me and the coolest goat ever. Frankie: "If the writing is crap, hopefully it's the kind of crap I can work with and not the kind of crap I have to scrap and start over." Donna, on feeling Sara's baby kick for the first time: "Oh my God! Things should NOT be kicking from inside of a person! That's so creepy!" Janine, stretching on the floor: "Look at this split, guys! Oh.... I just wrecked myself." Sara, opening a passionfruit yogurt container: "Ew, gross!" Sara: "The yogurt peed on me." Frankie, laughing, watching a very pregnant Sara walk to the kitchen for a paper towel: "Poor Sara. ... And she waddles away." Sara and the offending yogurt, post-attack. Donna, looking out the window: "Hold on, I'm watching a goat take a sh*t."
Sara, watching the horse relaxing in the field: "Isn't it when horses sit down, it means it's going to rain? Or is that cows?" Frankie: "I just hope it doesn't rain tonight when we're done working." Sara: "I don't care, I'm going in that hot tub." Frankie, glancing out the window at the road: "So does that mean I have a fourth of the novel written? *Gasps* Horse and buggy!" Janine, on where writing research sometimes leads: "But I did watch Godzilla shooting another Godzilla with lasers from its eyes." Frankie, petting the farm animals: "Ok, I'm done. 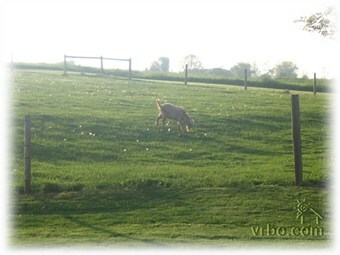 When I see goats pooping, I'm done." The view from the house! What's your favorite post-writing reward snack? I pick nachos. We're here, and we're writing! Hey everyone! We're at our retreat house and it's super cute and surrounded by goats and chickens and a white horse. But starting at noon, the writing begins! See you on Twitter, and happy writing! Take four writers and plop them in rural Pennsylvania (surrounded by farmland and goats and stuff) for a weekend, and what do you get? This weekend, the FNC is leaving the city to have a super-productive 48 hours of writing and critiquing. This little escape is in honor of the 3-year anniversary of our first group writing getaway in April 2009, at the SCBWI-EPA Pocono Retreat. The idyllic view from our retreat-house. 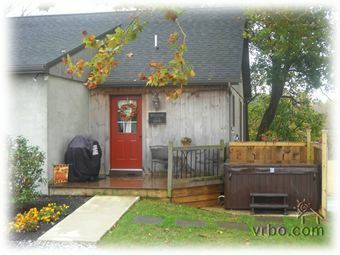 Of course, all our emails about the weekend thus far have covered the essentials: the food we're bringing and how excited we are that this place has a hot tub. But seriously, we're going to write ALL the words! ... and somehow, writing has taken a backseat. And I'm really frustrated with myself for allowing this to happen, because I love my novel and I miss my characters and I need to get back into the habit of writing regularly, no excuses. This weekend will be the beginning of that. Oh, and we'll have wifi, so keep an eye on the blog and our Twitter accounts for updates on our hijinks and word counts. Anyway, here's to hoping that you guys have a productive (and fun) writing weekend also! * Want to plan your own affordable writing retreat? 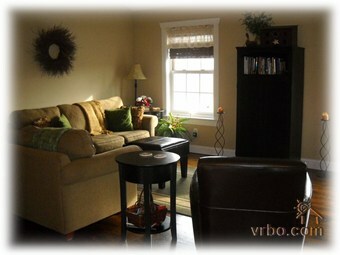 Check out our how-to post! This post comes long after all of my other Lucky Seven recommendations, which were inspired by a reading binge that led me to seven excellent books that you definitely should bump to the top of your TBR list. 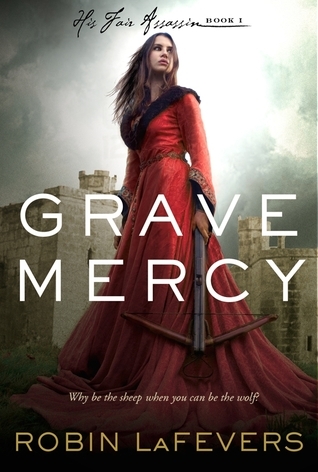 I think the delay was mostly because I felt like, no matter what I wrote, my review would inadequately describe what I felt about this book and why I wholeheartedly recommend it, but I did my best! Summary from Goodreads: Diagnosed with Stage IV thyroid cancer at 12, Hazel was prepared to die until, at 14, a medical miracle shrunk the tumors in her lungs... for now. THE FAULT IN OUR STARS broke my heart and pieced it back together again. I'm a huge John Green fan (I totally geeked out when I learned that I'll see him speak at the BEA Children's Author Breakfast), and his books are part of my reading happy place. I love the way he weaves words together, his wry humor, his too-smart-for-their-own-good characters. I sit down to read his books knowing most of what to expect (in a good way), but he usually ends up surprising me on a few points. I loved TFIOS. From the start, I was rooting for jaded, frustrated Hazel. Like her, I fell for Gus, and I quickly became immersed in their story, in their lives, as they struggled with the crappy hand they'd been dealt. Somewhere along the way, I cracked. Nothing particularly bad was happening in the story at that moment, but the general awesome-teens-with-awful-cancer thing got to me, and tears began tracking their way down my cheeks. I had become invested in Hazel and Gus and wanted for them the perfect happy ending that they deserved, but I knew they wouldn't get it. That thought basically made me cry--quietly and steadily--through to the end of the book. There was no climactic, melodramatic ending (like, no one dies tragically in a mudslide in South America (*cough* NicholasSparks *cough*)), but it fit the book and the characters, which is just about all a reader can ask for. And that's why I love John Green's writing. 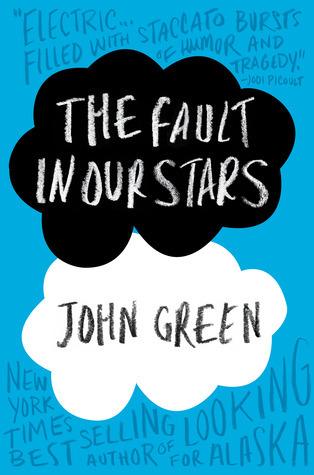 If you're a fan of LOOKING FOR ALASKA (and if you're not, seriously, GO READ LOOKING FOR ALASKA), then TFIOS will be your new favorite book. The verdict? Yes. A million times yes. Further evidence: Its constant presence the NYT bestseller list shows that I'm far from the only person loving this book. Thanks for reading the Lucky Seven book recommendations! Check out the other books in the Lucky Seven! For Support Teen Lit Day's Teen Book Drop, I dropped five YA novels by schools in Northeast Philadelphia. up the street from a high school. busiest intersections in the Northeast. On a low wall half a block from a middle school. in a park with a playground & athletic fields. At a bus stop bench on a busy avenue. I'm definitely just noticing that I had a one-word-title theme with the books --- and a bench theme! The most entertaining part of participating was deciding where to drop -- I had a couple ideas, but a lot were last-minute choices. The VARIANT drop was so impulsive that I put my car in park and turned my blinkers on at a red light -- and still made the next green light! And for the ILLUMINATE drop, there was definitely a group of people who saw me do it.... not at all inconspicuous. 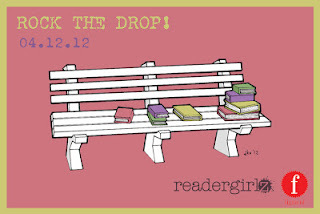 Did you Rock the Drop or find any Teen Book Drop books in your area? Let us know in the comments, and link to your TBD pics! Check it out! This year, Goodreads is hosting the Independent Book Blogger Awards. They're a chance for us--the bloggers--to do a little extra promotion of some of our favorite posts that we've enjoyed writing in the past year. And they're a chance for YOU--the reader!--to let us know if you enjoy reading them! Vote, of course! You need to be a Goodreads member (which you all should be anyway. The FNC has a Goodreads account, did you know that? That means if you have a Goodreads account, we can be friends!) and voting is open from now until April 23rd. All you have to do is use the handy widget on our sidebar to do it! While you're there, you can check out the blogs in the other categories--Adult Ficton, Adult Nonfiction, and Publishing Industry--and vote for your favorites there, too. We're Rocking the Drop next week... are you? In honor of Support Teen Lit Day, 4-12-12, the FNC's going to Rock the Drop in conjunction with readergirlz and Figment. All around the Philadelphia area, we'll be dropping books off in public spots for lucky readers to find and enjoy. Then we'll post pics of our book drops here! I have finally recovered from my weekend in NYC. And by weekend, I mean Friday and Saturday. And by recovered I mean I'm no longer announcing to twitter that it's Saturday when it is in fact Friday. Also I have quit trying to go down Up escalators. Please note that I have promised myself NOT to see The Hunger Games in theaters anymore and to wait for the DVD because my mascara and my wallet just cannot take it. But...aside from all of that you're probably interested in fun details from The Teen Author Festival. And luckily for you, I have all sorts of fun. Details...maybe.... But mostly fun. And by fun, I mean pictures. Elizabeth Eulberg, Terra Elan McVoy, Jenny Han, Stephanie Perkins and Sarah Mlynowski at the Being Friends with Boys Panel. This was such a cute and fun panel. But the highlight was definitely Stephanie Perkins reading the movie theater scene in Anna and the French Kiss. She is a super dramatic reader, and pretty much acted out the entire thing in her seat, from Anna's gasps, to the way she shifted her leg. It was pretty much made of awesome. Also I liked how a lot of the authors shared the idea that anything is possible at anytime between boys and girls (this didn't tie in to the books read but I think also the idea of between girls and girls and boys and boys would also apply). Most importantly, I liked how Stephanie Perkins, despite writing very classic high fantasy romances (where the romance is like a fantasy not the world), emphasized that her heroines have major character arcs so by the end they win the fantasy boy because they are perfect for each other, not because they NEED or are dependent on each other. Suzanne Weyn, Matthew Cody, Judy Blundell, Leanna Renee Heiber, Jennifer Donnelly and David Levithan on the Historical Panel. A highlight from this was the idea that stories are stories no matter what time period they take place. Someone mentioned the goal of writing a great story that surpasses the historical setting. Much the way that people will say Ian McEwan's Atonement is a great book, not a great historical novel. In between panels I took the one and only picture of myself with blogger Rachel Scroggins. The Paranormal Love Story Panel: Margaret Stohl, Andrea Cremer, Jeri Smith-Ready, Melissa de la Cruz, Victoria Schwab. Highlights: Hearing each author read from someone else's paranormal romance. If you've never heard Jeri Smith-Ready read out loud, you are MISSING out! Also...Jeri's editor Annette Pollert came with a hot-off-the-press copy of SHINE which is awesome. Following the panels, Jeri and I headed off for drinks with Victoria Schwab, Kim Harrington, Tiffany Schmidt, E.C. Meyers, and Zoraida Cordova. And then...we headed to Barnes and Noble for the Theater Reading where David Levithan, Andrea Cremer, John Corey Whaley, Emily Danforth, Lucas Klauss, Stephanie Perkins, and Siobhan Vivian acted out scenes from their books. Which basically meant this was the best event ever! The night then ended with a highly misguided adventure to the movie-theater, the buying of Hunger Games tickets, the navigating of the most confusing Whole Foods ever, and finally, seeing The Hunger Games again and going to bed. On Saturday, I slept late (thank goodness) went out for brunch, and headed back to the Festival for two more panels. Rising to the Challenge Panel: Kody Keplinger, Siobhan Vivian, Tara Altebrando, K.M. Walton, Susane Colasanti, Matt Blackstone, David Levithan. And the final panel I went to dealing with killers: Barry Lyga, Jennifer Lynn Barnes, Gina Damico, and Kim Harrington. After that it was back to the hotel and back to the train and then several hours later...back to Philly! All in all, pretty awesome time! Did anyone go to the epic book signing on Sunday? Did anyone else go to their final showing of The Hunger Games? Have you ever announced it was Saturday on a day that was not in fact Saturday?